To promote and drive sales of Voltarol’s pain relief gel across an active audience. 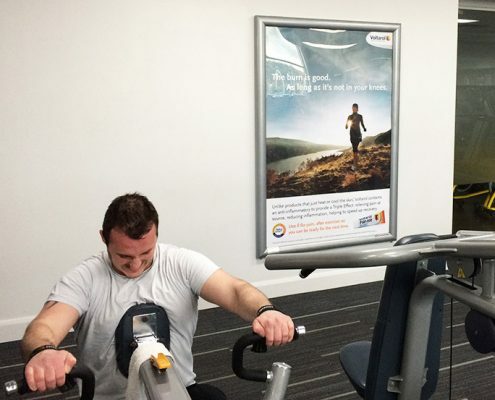 For their first ever campaign in health clubs, Voltarol used high impact 6-sheets and D6’s to reach their audience in a highly relevant environment. For the first time in their history, Voltarol saw an increase in sales in Q4. Their market share also increased by 3.69%. Subsequently to this, they have booked a further 2 health club campaigns.